Many families are struggling to find viable and affordable healthcare options, and a recent study by Johns Hopkins School of Medicine showed that patients are being overcharged for ER services by over $3 billion each year. The Medical Expenditure Panel Survey reports that the average ER visitor pays total costs of $1,318 and a mean cost of $615. However, the study showed that the charges for emergency physician services can be anywhere from one to 12.6 times more than the Medicare allowance. "There are massive disparities in service costs across emergency rooms, and that price gouging is the worst for the most vulnerable populations," said senior investigator and professor of surgery at JHU's School of Medicine, Martin Makary. "Our study found that inequality is then further compounded on poor, minority groups, who are more likely to receive services from hospitals that charge the most." To add insult to injury, a private study conducted by Milliman found that approximately 44% to 65% of all ER episodes could have been treated in urgent care clinic settings. If patients aren't aware of these implications, how are they supposed to protect themselves from price gouging? Luckily, there are a number of steps patients can take to lower their medical bills without having to sacrifice the quality of care they're receiving. Here are just a few practical ways to save money on medical care. Many people feel rushed into choosing an insurance policy so they can start receiving coverage sooner. However, choosing an insurance policy should never be taken lightly. Take your time to explore the various plans affordable and available for you. Experts recommend choosing a plan that incorporates physician and medication coverage and care for chronic conditions. Once you have your list narrowed down to just a few choices, call doctors' offices near you and make sure they accept that type of coverage. Finally, if you have children, check to see if they qualify for free or reduced cost coverage in your state. This can drastically reduce those monthly insurance premiums. This may sound like it requires a sacrifice regarding the quality of care you'll be getting, but in fact, some doctors try to push as many medical tests as they can onto their patients, despite considering whether or not they're truly necessary. Don't be afraid to voice your choices when your physician tells you they want you to get a particular test done that you aren't familiar or comfortable with. Take the time to do your own research and come to your own conclusions as to whether or not they're necessary. 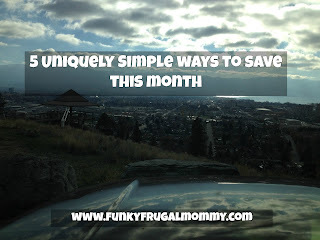 You'd be surprised how much money you can save by keeping it simple and only getting what you need. In the midst of our nation's health care crisis, roughly 75% of Americans are living paycheck-to-paycheck. For those with low incomes, CNBC recommends seeking out nonprofit hospitals and medical centers because hospital fees are simply too erratic. "Hospital payments will vary because they reflect each individual hospital and the unique care needs of the patient population it serves," American Hospital Association spokeswoman Marie Watteau said in a statement. "One community may have sicker patients with more chronic illness, while another may care for more uninsured patients. Drawing information that is meaningful from a uniform set of charges is challenging because hospital care is individually tailored to each patient's needs." Ultimately, the Johns Hopkins study demonstrates an underlying need for increased awareness of these money-saving ER alternatives. Tim Xu, the author of the study and JHU medical student, feels as though the problem lies at the foundation of the health care industry as a whole. "This is a health care systems problem that requires state and federal legislation to protect patients ... Patients really have no way of protecting themselves from these pricing practices."